In our majority-female office, our creative director John is the resident expert on men’s fashion (and all-things-style in general). Each month, he’ll be dishing on style trends for men and helping you break them down into something easy and wearable. It’s October and that means denim jackets just aren’t going to cut it anymore. Today, I’m rounding up the five styles you should always have in your arsenal. At first, a neutral coat might sound boring, but what it lacks in pizzazz it makes up for in versatility and practicality. A classic coat like this camel one will always look good, even when you’re not trying (which, let’s be real, is awesome). It’s classic, reliable, and appropriate for every day. Consider it the Volvo of outerwear. If you want something more on the color wheel, earth tones are your friend. Because of the popularity of utilitarian style and camo trends, army green has become such a staple that it’s practically a neutral. Go sherpa or go home, right? These coats offer intense warmth AND style. But if the blanket coat is too much for you, scale it back with either a faux-fur trimmed hood or a jacket with fleece lining. Just as comfortable – just as fashionable. Behold: The statement coat. 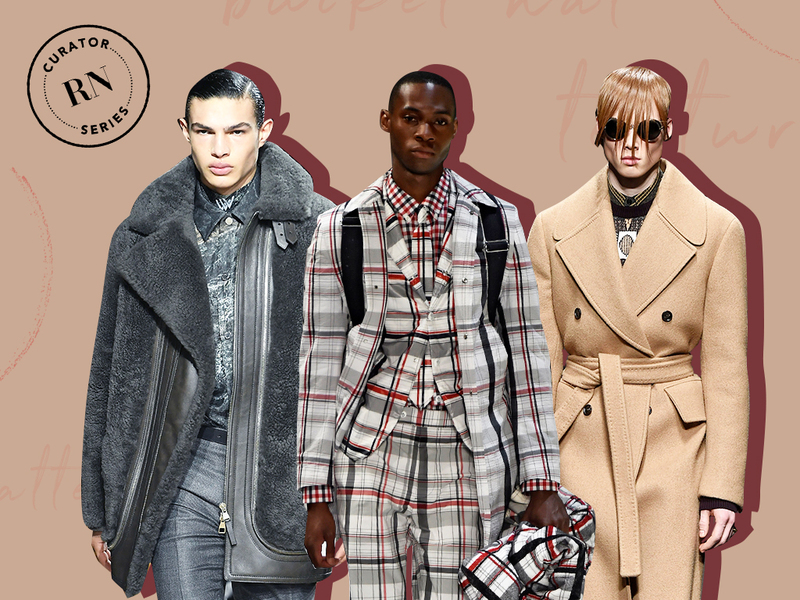 Don’t be intimidated by the pattern – checks and plaids never go out of style and can really polish a look. A coat like this says, I know I look good. For snowy, windy, rainy, and just plain terrible weather, you might want something with a little more water-resistance. A puffer coat like this is sporty but just trendy enough that you could dress it up or down. Plus, they come with all sorts of textile technology that will keep you warm, no matter what. Just because you put a coat on last doesn’t mean it should be an afterthought. Instead, get yourself a coat (or five) that will improve your day-to-day look. But, just a warning, your coworkers are going to want the same one.